So, you’ve got a new puppy. Now what? It’s like bringing home a new baby: where is it going to sleep and, more to the point, how am I going to get some sleep? Never fear... These ‘tricks of the trade’ will help you get your little fluff-ball settled in happily in no time. Firstly, it’s not going to spoil your puppy to have it sleep inside for the first few nights. In fact, sleeping in your bedroom will provide some much needed human company after being separated from its mum, litter mates and previous human carers. A little bit of love is not going to ruin your pup! The sooner it feels more comfortable with you and its new home the happier you will all be, and then you can train it to sleep outside later on. You may not want the new puppy to sleep on your bed. Fair enough. You can place him or her in a crate beside your bed. This will also be useful as a place for the puppy to use later as a ‘den’ for when you are away or to keep the pup safe when visitors, children or other dogs come to visit. Make sure the crate is a happy place with a comfy bed, a soft toy and a few treats. Another option is to use a baby play pen in the corner of your room. Place a comfy basket or box in the playpen to encourage sleep. Gently heat a small wheat pack or fill a sock, preferably a smelly old one of yours, with gently heated raw rice. 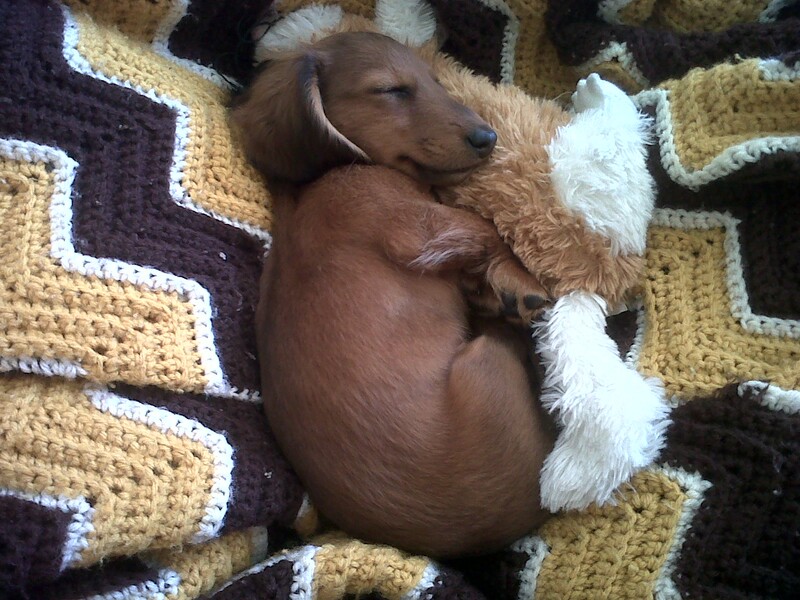 Place inside another old sock or two for safety and put in your pup’s bed as a nice warm buddy. Test against your arm that it is not too hot first. Plug in an Adaptil Pheromone Diffuser in your room. It releases a synthetic copy of the natural comforting pheromone produced by a mother dog to reassure her puppies. Trust me, they are worth it! Don’t make a fuss of your pup – just say good night in a gentle, reassuring voice and pop it in its bed. 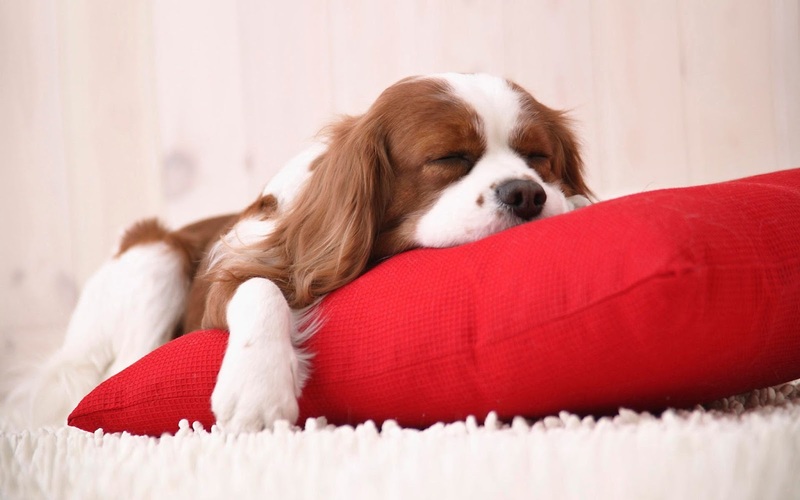 Now that your pup has settled in after the first few harrowing nights, you can progressively move it to where he or she is to sleep permanently. This might be the kitchen, laundry, another room in the house or a cosy kennel outside. Before moving, we need to make this new place ‘the bees knees’, somewhere the pup loves to go. 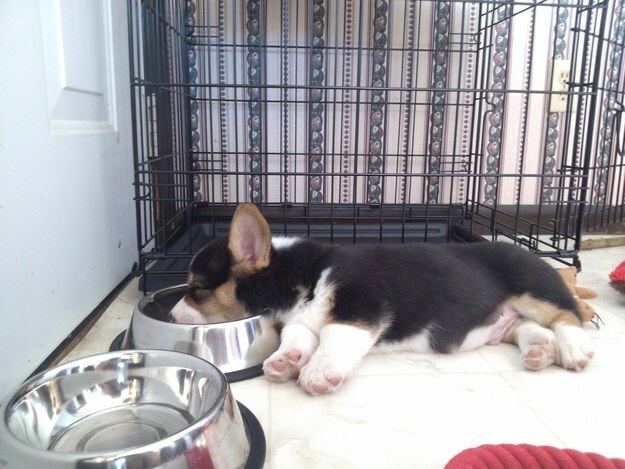 To do this, start feeding your puppy in its new ‘bedroom’ or ‘den’. Split its meals into 3 or 4 small meals a day, so it has plenty of practice at loving this new place. Even better, place some of the dry food in a cardboard toilet roll or puppy treat toy so it becomes brain-work and fun to find its food. While your puppy is busy eating, you can quietly retreat and close the door. This creates a good association between being confined and happily eating. You can progressively extend the period of confinement each day by a few minutes. If your pup whimpers or barks, tap the door lightly and say ‘Quiet’ in a firm but nice voice and wait until it is quiet for a few seconds then praise him or her. Once he or she is quiet again for a few seconds longer then you can open the door and give your pup a pat or cuddle. Close the door and wait for a period of silence slightly longer than before, say 10 - 15 seconds, then let it out as a reward. Gradually, you can make the period of confinement longer by small increments and your puppy will learn that being on its own in its ‘den’ is ok. Give your puppy a chew toy, a stuffed toy or a food puzzle toy to keep him or her occupied during this time. Finally, your pup will be able to last in its room or kennel overnight without any drama. Importantly, relocate the Adaptil Diffuser from your room to the pup’s new den to help create a calming and happy place. 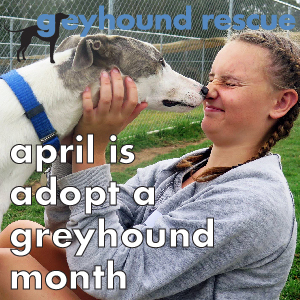 If your pup is outside, there is an Adaptil Collar that can be used instead. It is worn like a flea collar and will also last a month. 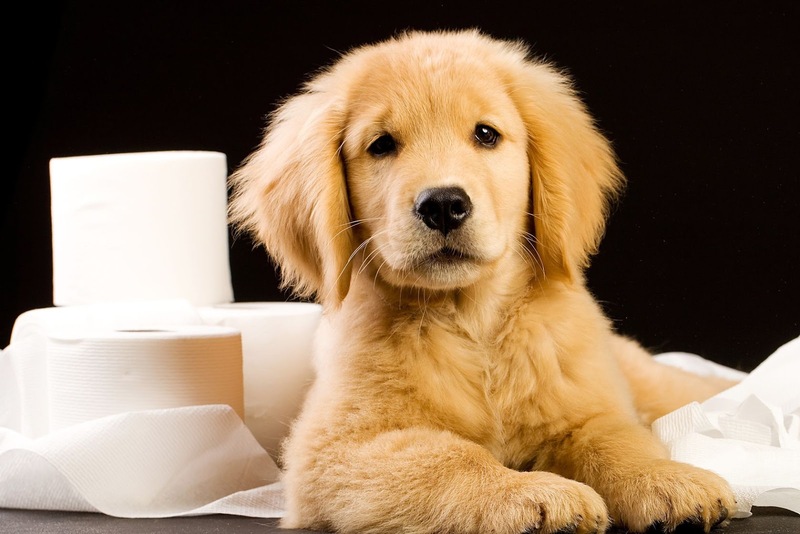 Toilet training isn’t hard, it just requires a little patience, consistency and setting your pup up for success. Young puppies need to eliminate every 3 to 4 hours, after waking and playtime usually, but this period lengthens as the puppy grows. Give your puppy an opportunity to go to the toilet before bedtime and then as soon as you get up – take it to a designated toilet place outside in the garden. Give a cue like ‘wee time’ and praise it profusely in your most excited voice for doing so immediately. 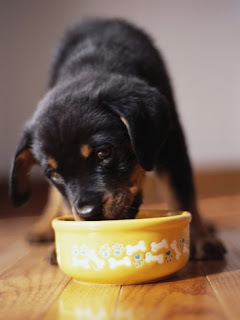 You can also give a special treat to give the pup extra incentive to go in that place and on your cue the next time. For young pups that can’t last through the night, place some newspaper in the corner of the room. Clean up any mess without fuss the next day, it won’t be for too long until it can hold on through the night. Any scolding or punishment will only make the pup anxious about toileting and start hiding where it goes or toilet in its bed. During the day you should take your pup to its toilet spot every two hours for a few days so you increase the number of chances of your pup getting it right and being praised joyfully. It will soon get the message and look forward to toilet time. Above all, be patient. Some get it sooner than others and, remember, they are only puppies once. Ideally, we would love to be home nurturing, socialising and training our puppies all day but many of us have to go back to work or school at some stage! 1. Before leaving for work, play games with your puppy (inside or out) – one-on-one interaction for 15-20 minutes is both mentally and physically stimulating for your puppy and he or she will be less likely to be anxious when you leave for a longer period and more likely to settle and sleep. 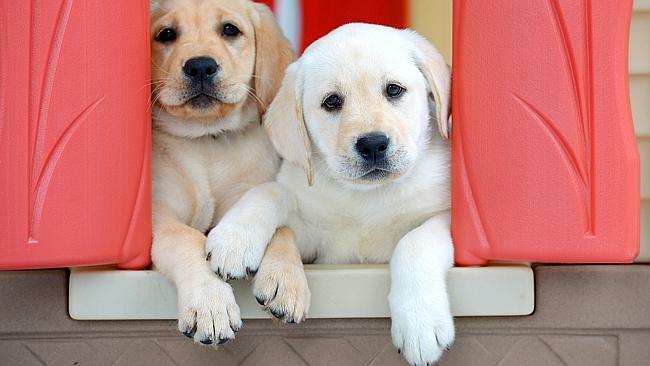 Make sure your puppy has a chance to toilet after playtime. 2. Just before leaving, offer your pup a favourite chew toy or breakfast in a food-dispensing toy (& maybe a smelly sock or t-shirt of yours for comfort) & calmly leave. 3. It would be great if you could return home at lunchtime to check on your puppy or get a neighbour or friend to pop in, play with the pup and take it outside for toileting. If not, you could consider hiring a pet sitter to check-in for the early weeks and later a dog walker when your pup is fully vaccinated. When you do return home from work, keep your greeting low-key, so your comings and goings aren’t a big deal to the puppy. 4. 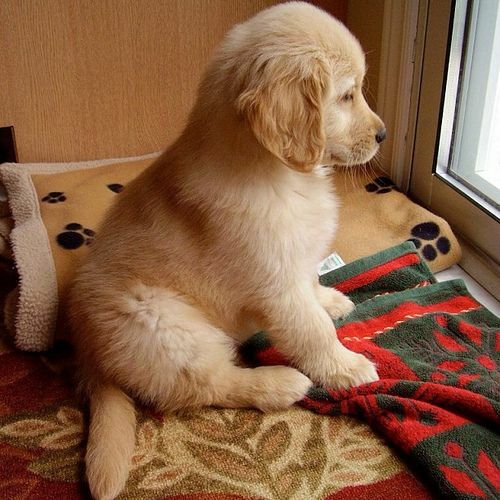 Keeping to a routine each day is the best way to keep your puppy happy and reduce separation anxiety. If you are concerned about your puppy, consider setting up a pet video monitor paired with an app on your iPhone e.g. the Petcube Camera to see exactly what he or she is up to, especially in the first hour after you have left. 5. Don’t forget to enrol in puppy socialisation and training classes recommended by your local vet to help your puppy grow into a confident, polite and stress-free adult dog. 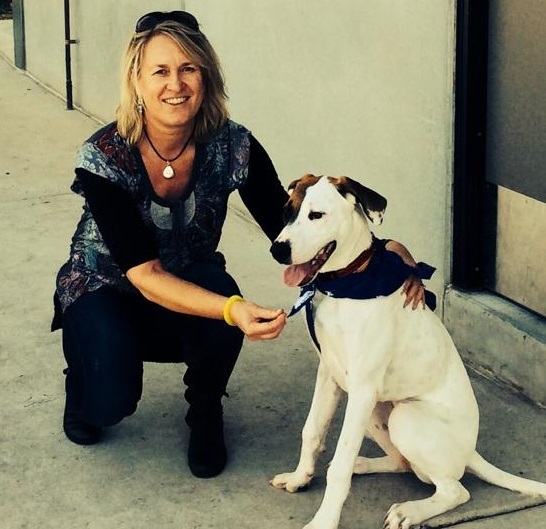 Dr Julia Adams BVSc is a veterinarian and animal behaviour consultant in Cootamundra, NSW.